Once you bring your new baby into the world, it can feel like you’ve got a million and one things to do, and not enough time to do it. What used to be simple everyday tasks, such as laundry, can soon become much more challenging. That’s why we’ve asked Angie Tang, Senior Operations Manager at Laundrapp, to share some tips to make doing the laundry a bit easier for new parents. When we are trying to balance our work commitments with our social lives, it’s easy to put our household chores at the bottom of the pile. But, add a baby into the mix, and this becomes even more apparent. Once your top priority becomes your new baby boy or girl, it’s understandable that household chores will slide down your to-do list. But, while the dishes can be left until tomorrow and the hoovering can wait a few days, laundry is something you need to stay on top of. When you have a baby in the house, it’s inevitable that things will get a bit messy, and you might find yourself changing your baby’s clothes many times in a single day. With that in mind, I’ve put together some top tips to help you win the war on baby laundry. The key point for doing baby laundry, and I can’t stress this enough, is to use baby-friendly detergent. 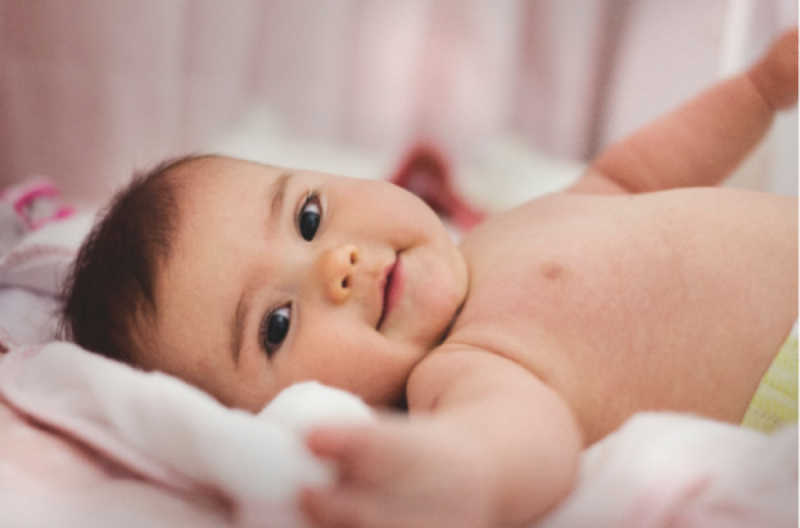 Babies, especially new-borns, have incredibly soft and sensitive skin that can react badly to even the slightest irritant. Detergents with harsh chemicals, dyes, and perfumes can cause a whole range of problems, so they are best avoided. Most of your typical supermarket brand detergents will be too much for baby clothing. Instead, find a detergent that is non-bio, meaning it lacks the cleaning enzymes that can irritate a baby’s skin, or better yet, look for one that is specially-designed for little ones — the same goes for fabric softener too. Babies make a mess and, with that, create a lot of stains, on both their clothes and yours. To make things as easy as possible, it is always wise to treat a stain as soon as possible, especially when they have an upset tummy. These kinds of stains are soluble in water, which means rinsing clothes as soon as possible will make it much easier to get them out later on. For best results, it is also a good idea to pre-treat any stained baby clothing with detergent and bleach. Simply fill up a sink with water and add a few spoons of detergents with a splash of colour safe bleach. Leave the clothes to soak in the basin for at least thirty minutes before washing normally in the machine. Getting rid of stains at home is a fairly easy task, but keeping on top of them while out and about is a totally different ball game. The likelihood is that you won’t be able to rinse the clothing immediately, but it’s important to deal with stains before they set into the fabric. The easiest way around this problem, and this will be a life saver in the long run, is to carry some pre-wash stain remover around with you. It’ll fit easily into your baby bag or stroller and can be quickly pulled out when needed. If you leave it too long, you’ll have more work to do down the line. You’ll no doubt have bought plenty of clothes for your new-born, and you’ll likely receive even more from friends and family. But many people don’t realise that you should actually give these clothes a wash before putting them on your baby for the first time. You’ll find that new clothes have a nice smell to them, but they can also have lots of chemicals in them too, which can be an irritant for your baby. Make sure you wash them using your special baby-friendly detergent, otherwise you’ll just be replacing the old chemicals with new ones. When you’re getting to grips with being a new parent, it can sometimes feel like you’ve got a million and one things to do. Make life a bit easier by following my tips above, and you’ll have one less thing to worry about. This article is meant as a general guide and you should always read and follow the instructions as outlined on the label of your bedding. If you are unsure about any of the steps outlined above, we would always recommend that you seek professional advice.